The Moray Firth is home to the most northerly group of Bottle Nosed Dolphin in the United Kingdom. 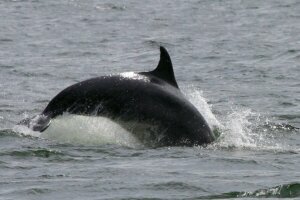 Around 130 dolphins frequent the Moray Firth. They are most often seen here for several hours after low water. The best place to watch them is from the beach by the lighthouse. Harbour Porpoises are also seen here regularly.